Second top Afghan Taliban leader Mula Abdul Ghani Baradar is in custody of Pakistan while Afghanistan government and Americans are demanding to hand him over to Afghanistan government for whom Pakistani interior Minister Rehman Malik was also ready but Lahore High Court has stopped handing over Mula Bardar to Afghan government. But the question is that why Pakistan not demands for Terror Master Brahamdagh Bugti in exchange of Mula Baradar that is sitting in Afghan Capital Kabul under Indian umbrella and mastering Terror in Balochistan province. 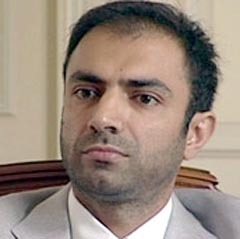 Pakistan has strong proofs that Afghan government with help of Indian government is working for anti Pakistan operations from many years and Brahamdagh Bugti is mastering terrorism in Balochistan so Pakistan must demand for him if Afghanistan is asking for Mula Baradar.